Redwood City (pop. 75,000) is on the Peninsula about 25 miles south of San Francisco, extending westward from the Bay to the Santa Cruz mountains. Redwood City has the only deep water port in the bay (south of San Francisco). This port was key to the City’s history. During the 1849 Gold Rush, huge supplies of wood were needed for the thousands of prospectors surging into the area. In response, loggers cut down many of the magnificent redwood trees on the coastal mountains. Waterways moved the timber much easier than overland methods and the deep port made it possible to reach the Bay. The port exploded with activity. This was the start of “Redwood City”, named for the endless timber that shipped through its port. Its strong business base made it the county seat of San Mateo County in 1856. Today, Redwood City still serves as the county seat for San Mateo County. And it has grown into a richly diverse community. Its business interests are broader than many other regions of the Peninsula, counting service and industrial interests along with its growing array of internet and computer companies. 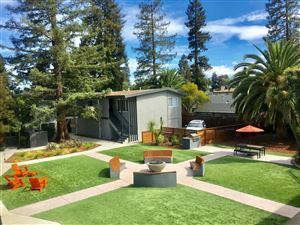 Neighborhoods come in many styles as well.While many homes have the older classic designs of the region, a multitude of designs and community demographics are possible in Redwood City. The City’s recently completed downtown renovation project, however, is certain to bring everyone together. Several blocks of Redwood City’s original downtown streets were renovated, restoring their original style to create a welcoming, functional town center again. This will serve as a people-friendly place for work, shopping, and entertainment. The highlight is the main square where the City Hall from 1910 has been beautifully restored to its original splendor and illuminated fountains create a scene reminiscent of Europe at night. Renovated theaters formerly closed have reopened, new ones have been added, and exciting new music and drama programs are appearing. From shipping timber to high tech industry and new city centers—these are exciting times for Redwood City.